It’s that time of the year once again. 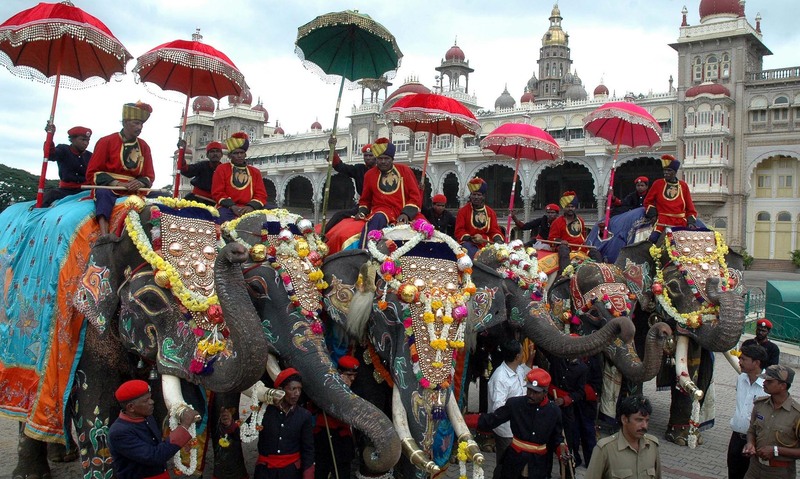 Dasara is around the corner, and the elephants were welcomed at the main Amba Vilas Palace in Mysore on Monday. DEEPAK THIMAYA: What is so ‘world-famous’? This entry was posted in Kannada & Karnataka, Mysore-Bangalore and tagged Churumuri, Karnataka Photo News, KPN, Mysore Dasara, Sans Serif. Bookmark the permalink. Is there an Amba Vilas palace that is not the “main” one?